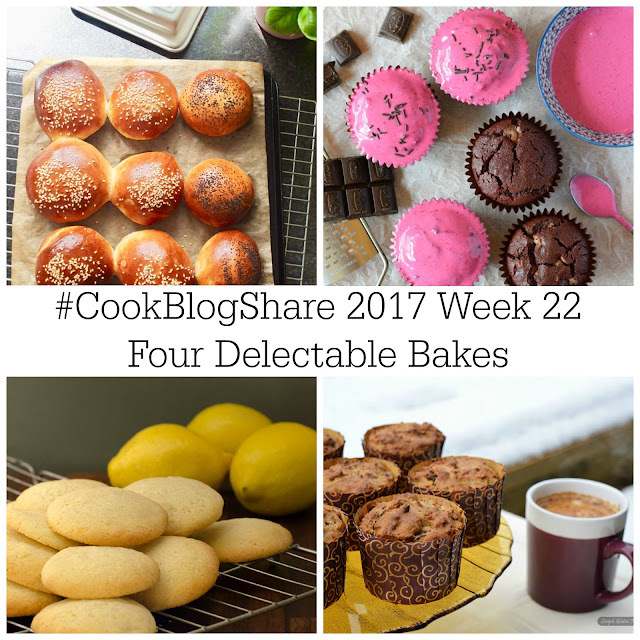 Hello and welcome to week 22 of #CookBlogShare. Wow it feels like such a long time since I have written a Cook Blog Share post and I know things have been quieter on Hijacked By Twins and Cook Blog Share. I mentioned before that I had got a new job, well I still haven't started as I am waiting for all of the clearances to go through but fingers crossed I will be starting in a couple of weeks. In the meantime I have been trying to get on top of jobs around the house so that once my clearance certificate arrives I can start my job knowing that I am on top of things. I have also been trying to scale down my blog work which has been hard but also quite refreshing. It is nice to look at what I post and not feel that I have to post (hope you know what I mean) I am writing about what I want to write about. Now back to CookBlogShare. 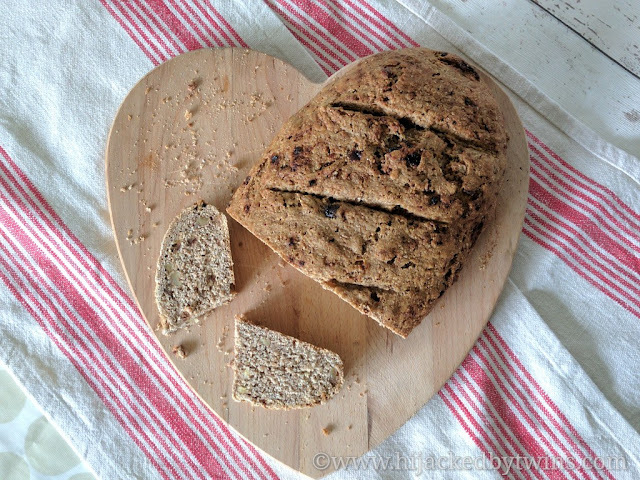 Last week the linky was hosted by Monika at Everyday Healthy Recipes who did a great job! While I am talking about hosts, I just want to thank Monika, Eb from Easy Peasy Foodie and Jacqui from Recipes Made Easy for all of their help hosting the linky. Their help and support really has made a huge difference to me and my workload and this has allowed me to have more time away from the internet and with my family. I feel like I have a healthier work/home life balance now, so thank you! I have recently rediscovered my love of baking bread so it was no surprise that these Easy Yoghurt Bread Rolls from Jo's Kitchen Larder immediately called out to me. They look like a perfect roll to have while still warm with real butter melting into! We all love beetroot in our house so what I saw that Only Crumbs Remain was sharing some Beetroot and Chocolate Cupcakes I knew they would be a must make! As we grow beetroot I am always looking for new ways to use it in dishes and this recipe has gone to the top of my beetroot list! Another one of my favourite flavours has to be a citrus kick from lemons. Lost in Food share some delectable Lemon Butter Biscuits. I know that if I made these they would not last long as I can just imagine how moreish they must be! Last but not least are these Hearty Buckwheat Muffins from Simple Gluten Free Kitchen. After using buckwheat in a carrot cake I am looking for new bakes that use this flour and these muffins look like the ideal breakfast bake to have with a cup of rich coffee! I too have been busy baking. I was recently sent a Kenwood kMix stand mixer to try and have rediscovered my love of baking. I have been making Date and Walnut Bread, Rhubarb and Ginger Cake and as I mentioned before a delicious Carrot Cake so expect a lot more bakes to come! Now over to you! I cannot wait to see what you have been cooking up! Hi, Kirsty. I hope you are feeling great! Thank you for hosting the party! 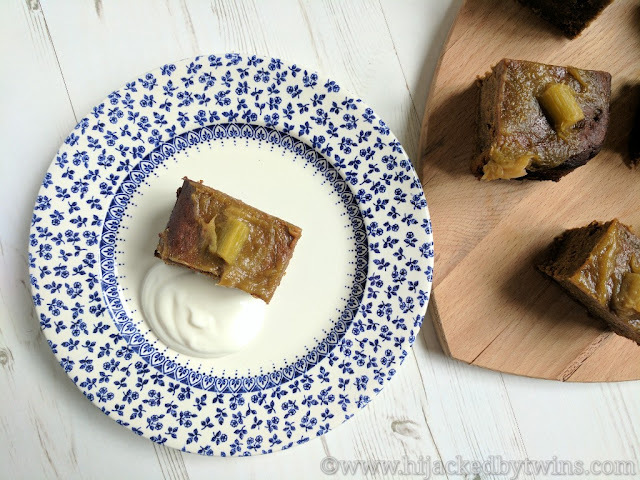 Great round up Kirsty, I just love all of those bakes and your rhubarb and ginger cake sounds gorgeous too. Good luck with your new job when your certificate arrives. A great selection of bakes Kirsty, I love the look of Angela's beetroot muffins. Getting a good work / life balance is always hard. Good luck with your new job. Meanwhile, I really dance a slice of that date and walnut bread. Lovely bakes from everyone and thanks for including my buckwheat muffins in them! Fab round up! Thanks for hosting this week! Good luck with the new job Kirsty.... Looking forward to hearing more about it! Thanks for all your hard work with the linky.... but a good work-life balance is so important! Lovely bakes. Good luck with the new job when you begin, it will def. take time adjusting.